1. Two belts on the line! 2. The main event is a rematch due to a fight in January that resulted in a draw. That fight is a candidate for fight of the year. If it was any indication of how this fight will go then be prepared for excitement. Will Edgar evade the punches that rocked him early in their last outing? Can Maynard keep the pressure high in order to win? Only 24hrs left to find out. What is more important is we can finally begin letting contender fight for the belt again, and this weight class is packed with skilled and eager fighters ready for their shot. In fact, two of the said contenders are fighting on this card. 3. I am m ore excited for this fight than the main event. Why? Two words. Jose Aldo. If you have read my last article then you may be familiar with what I think about him. Anderson Silva stated that if Jose was at 185 he would retire. Yes, Jose is THAT good. More incentive to watch? Ok... He is fighting Kenny Florian, one of the most accomplished and well round fighters in the world. If there is a key to beating Aldo then Florian is the man to find it. That is a big IF. Aldo is like a miniature, faster, more aggressive, better take-down defense version of Anderson Silva. Get ready to be amazed. 4. Chael Sonnen vs Brian Stann. This has the potential to become a lay'n'pray fight because of the tendency of Chael to do nothing but wrestle and the strong jaw of Brian. Brian though has heavy hands and each round starts standing so he has a punchers chance to finish the fight quickly. What this fight really shows is whether Chael will be able to rematch Anderson Silva after the one-sided performance he showed against him. Though an Anderson Silva/Brian Stann will be a much more exciting fight, the rematch with Chael will prove whether his first outing with Silva was a fluke. 5. Garcia and Phan were in a rock'em sock'em fight that ended in one of the most controversial judging decision in MMA history. Many MMA experts and fans, including myself, still firmly believe that Nam Phan won their first outing. This is his time to correct a black mark left by the judges in MMA history. Also Tiequan "the wolf" Zhang will be coming back into the Octagon. I have kept my eye on him for about a year and he keeps impressing. Future title contender? Watch and decide. Demian Maia is fighting as well. The last time we saw him his stand up was much improved. If he becomes an excellent striker and combines it with his world class Jiu-Jitsu... a deadly combination and a threat to any fighter. The Future of Gaming or a Hoax? Do I believe it? No. Would I love for it to be true? Hell Yes. It just seems to me that the amount of processing power required is insanely huge and Euclidean has not, IMHO, given us a straight answer on how they can run it on software (no graphics card). He mentions only rendering things on screen but they do that in games today as well. Anyway, they say a demonstration of animated models will be coming in the future and that will be fun to watch. If you want a more in-depth report click HERE for an interview with Bruce Dell. *sigh*... another great isometric view game is turned into an FPS. First it was Fallout, then X-com, and now Syndicate. Hooray for corporate profits and the mainstream. These videos are great, they show you what happens behind the scenes at UFC events. Plus they are hilarious. Enjoy. The original Deus Ex was one of those rare legendary games. It redefined the first-person genre by blending it with role-playing and stealth elements. Beyond that it's story made us question what it is to be human and rethink our ideas of freedom. Deus Ex: Human Revolution is a prequel to the original's story (Ignore Deus Ex 2 invisible war as it is a bad game). Let's get down to it. March 2012, I can't wait. Hard for Rockstar to mess this one up because of the game's simple mechanics. 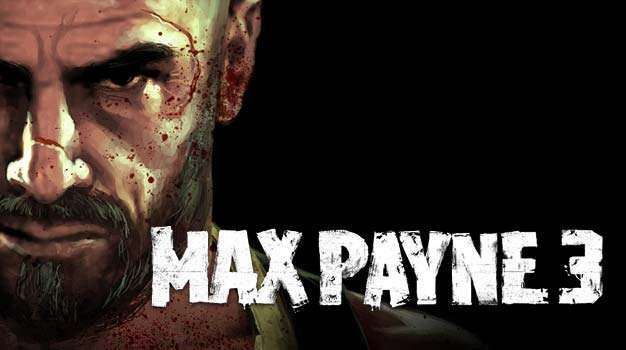 Max Payne 1&2 had deep, noir stories that gave the game much of its appeal. The new story seems to be a rip off from the remake of Man on fire with Denzel Washington. It was a good story nonetheless but has no noir touch.The game is set 12 years after Max Payne 2. Max has visibly aged and even has a gut. I like that, heroes don't need an adonis figure, just the will to act. Enjoy the new trailer.